Margaret has performed with the European Mozart Academy at numerous concerts in Poland, both in Mala Wies and Krakow and also in Bratislava, Slovakia. 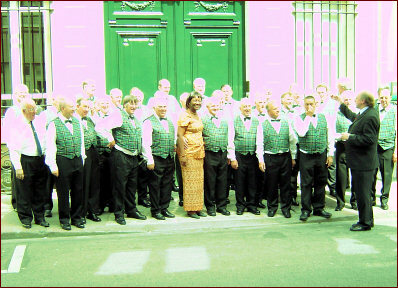 Soloist with the Cornwall Male Voice Festival Chorus in venues in Paris, France. Singing at a five day Lausanne International Conference in Budapest, Hungary. Five day workshops with Music for Health in Paris, France; Dublin, Ireland and Krakow, Poland, in association with the Leonardo da Vinci Partnerships.